The “Beauty” theme day during last week’s celebration of Salvador Dali inspired me to share a bit of my personal view on what makes a certain piece of art beautiful. I have to preface this by saying that this is just my own opinion, and not really a cornerstone on how one should view works of art. It’s too subjective of a topic to have any hard/fast rules telling people how to look and what to see when viewing a piece of work. That takes the fun out of it! But if you’re reading this as someone that’s just curious about another person’s viewpoint, then I gladly invite you to read on. Compared to others that I’ve talked to, I think my taste is definitely on the simpler side and more traditional. As far as subject matter, what makes a piece beautiful to me is whether or not it seems to speak from the heart. I tend to gravitate towards work that tries to connect with something deeper within the artist, and is expressed in a way that allows the majority of viewers to feel a certain impact. Is the artist’s motivation more isolating and self-indulgent, or is the intention to present a vision of a concept that is supposed connect with the viewers? Those are just a couple of questions that I ask myself when viewing a piece. If there’s a story behind it, I’d like to be able to at least get a close guess as to what the artist is trying to convey instead of feeling like I’m just looking at an inside joke. It’s hard for me to connect with something so mysterious that I’d need to carry around an art history book just to stand a chance at possibly partially understanding the intent of the artist. I can still appreciate the effort of something that I don’t understand, but I may not feel inspired by it. I love figurative pieces (work that has a person or more as the focus), and work with strong symbolism. This is just a quick overview of what draws me into a specific piece of work. I could really go on and on! For those who have no idea how to explain why they like a piece of art, next time just pay attention to what it is that grabs you and let it linger. Maybe it’s the size of the piece, or the subject? Maybe it reminds you of a certain era of time that you love, or your childhood? Think about any sudden emotions within you that may come to the forefront when viewing the piece. I may want to understand what the artist was trying to do, but who says YOU really have to understand the true intent or message of the artist? I think what really matters is how each individual responds to the piece. At least being able to identify what you like and why already gives you entry into a dialogue about art, then you can learn more details from there. That’s also what I think is the beauty of art – the fact that any one piece can mean so many different things depending on who views it. The experience can start a conversation between people who were once strangers, but now they’ve been brought together through an unseen person who dared to put themselves on display. I know this all sounds so corny, but I do see a certain beauty in how art can bring people together. And that’s something I will never get tired of seeing. 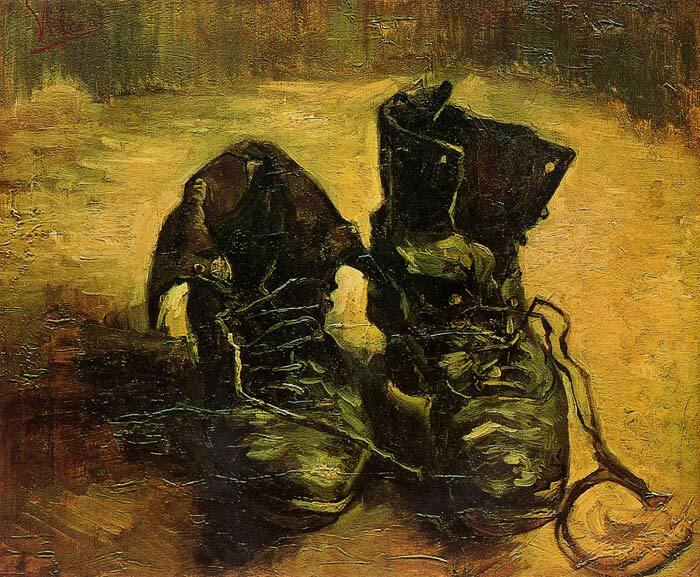 A couple of weeks back I made a quick mention about wanting to go to a Van Gogh show at the Philadelphia Museum of Art. Well in a few minutes I’m heading on up there! I’m really excited, but I don’t think I prepared well enough for the long trip. No audio books or nothin, haha. Well see how this goes. I plan on giving updates via Twitter, so follow me @purplpaintbrush to give me a shout out or just to check in throughout the day. Happy Friday! 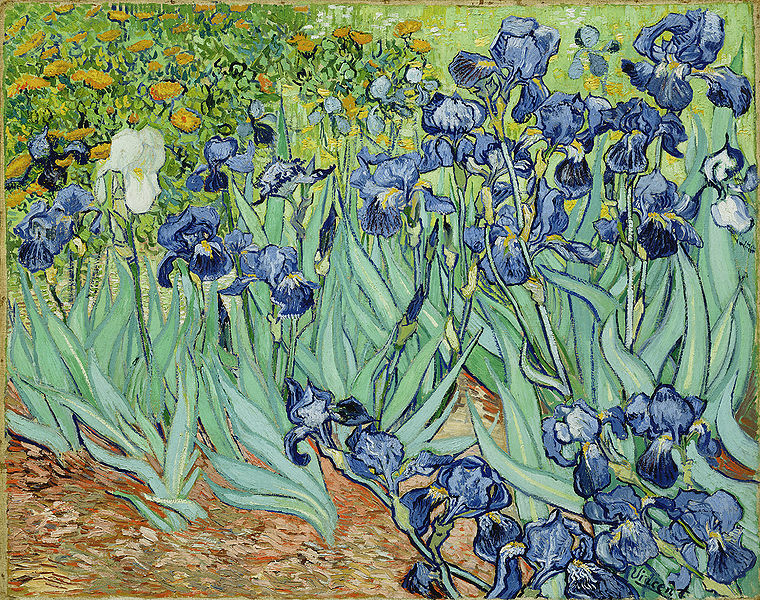 Van Gogh Up Close, now showing at the Philadelphia Museum of Art through May 6, 2012. 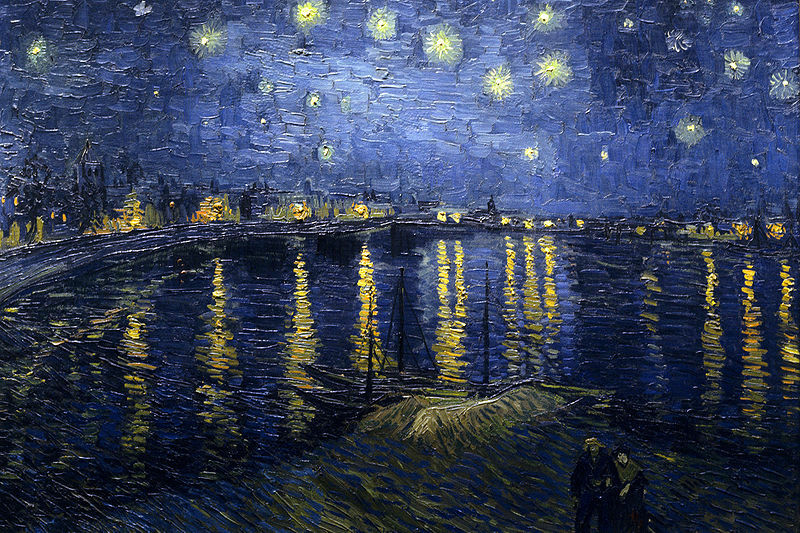 I’m definitely planning a trip up to Philadelphia to see the Van Gogh show in Philadelphia! Rooooad Triiiiiip!! haha…I can’t wait, I should be making the drive a little later this month. Click "follow" if you'd like new postings sent straight to your email!